Word of mouth is probably the oldest form of communication known to humankind. Ancient man used to draw on cave walls to let other people know what kind of monsters he fought. Nowadays, technological advancement has increased and simplified the way we do things. Incorporating positive recommendations through word of mouth (WOM) from influencers will rank your brand higher in the marketing channels and produce good results. It’s an effective and inexpensive way to promote your school’s business. Even though marketing tools vary, still most of us favor recommendations from close family and friends when it comes to enrolling kids in schools. Parents are more likely to listen to advice from trustworthy members over traditional mediums like television or radio ads. But why is that? Does credibility rely more on recommendations? There are three possible types of WOM: Positive, negative and neutral. Neutral WOM is probably the least powerful because under this category most of the brand’s products and services will not face a direct criticism nor will it find loyalty. Positive WOM is like free advertising. Think of it like this. In order to acquire people’s positive reaffirmation about your product, word needs to be on the street. The outcome of accumulated good brand experiences will result in what we call “customer loyalty” and hopefully progress towards brand equity. Negative publicity and misinformation can severely hurt the business and spread like wildfire. 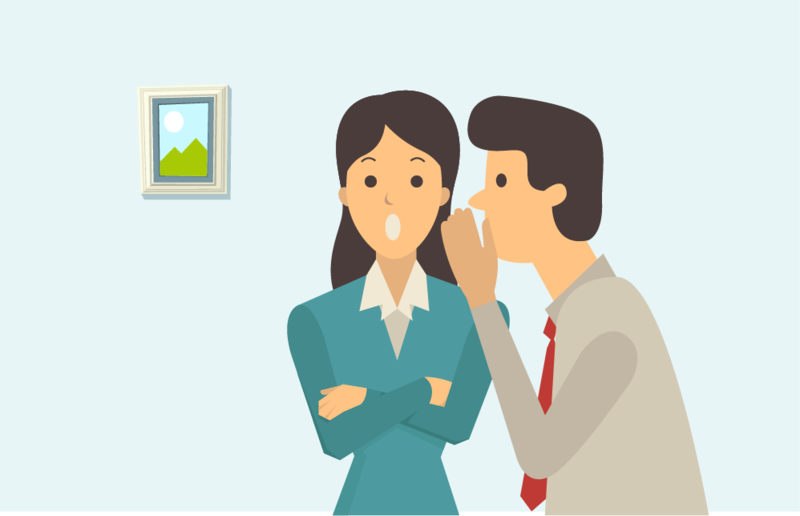 Negative word-of-mouth can damage your school reputation, affect school enrollment percentages and result in lost business opportunities. However, negative WOM has two drawbacks that might affect your profit. One is how many prospect customers it can reach and influence, the other is the potential profit loss of each parent who may end up removing your school out of their shortlist. Luckily, many techniques are proven effective in controlling negative WOM and its damage. For every negative review there’s an opportunity to improve your school and service. You should address the issue immediately whether it is a service complaint, unexpected bad incident, quality doubts or staff mistake. If the review happened to be online, take it offline, and reach out to the complaining customer to solve the problem. James Altucher said, “Honesty is the fastest way to prevent a mistake from turning into a failure.” So be honest when discussing with opinion formers and influencers their negative school reviews. At the same time, always remember that happy parents are an asset, so manage them well. Think about your school. Is there any part of your service that annoys parents? Are you unintentionally creating negative WOM? Don’t be afraid to get these questions outside your office and discuss the matter with your school staff from time to time. Seek real feedback through online surveys, pen-and-paper questionnaires placed on help desks and social media polls. Change anything that decreases your opportunities to having loyal customers share good experiences and spreading positive word-of-mouth. Heard something? Word of mouth could be communicated much easier with the right platform for the right people.